At a funeral for former Maryland Gov. Harry Hughes, current Gov. Larry Hogan praised Hughes for his time in Annapolis. ANNAPOLIS, Md. (AP) — Gov. Larry Hogan says former Gov. 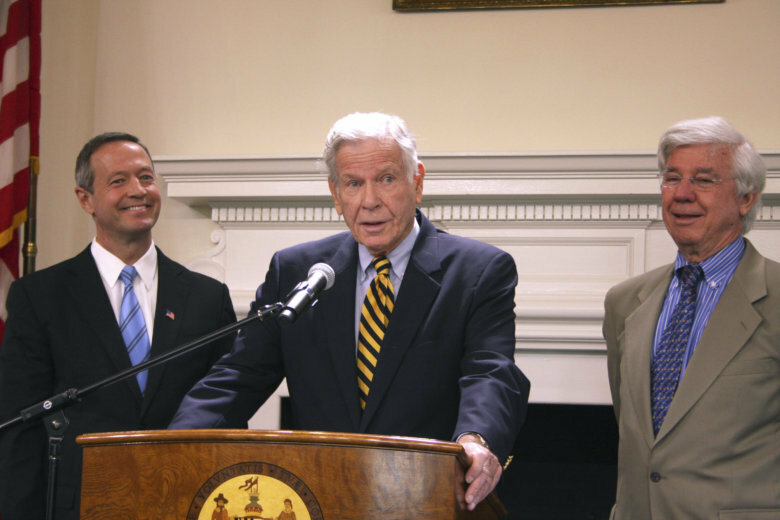 Harry Hughes restored integrity to Maryland’s capital. Hogan spoke at a funeral Thursday in Annapolis for Hughes, who was governor from 1979 to 1987. Hughes entered office after two of his predecessors were hit by scandal. He died last week at age 92. Hogan praised Hughes for being a fierce advocate of environmental stewardship. He highlighted the former governor’s work at building partnerships with the federal government and surrounding states to protect the Chesapeake Bay. Hogan noted that Hughes was ahead of his time in appointing a record number of women and minorities to positions in state government. Hogan says Hughes is remembered most of all for the dignity and grace with which he governed at a time when the state needed it.